… on the north side of Austin, Texas. Dr. Ron’s Foot Care Services include treatment of all foot care needs. 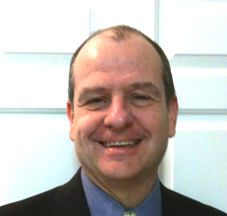 Dr. Ron is a board-certified Podiatrist and Surgeon, practicing in major Austin hospitals. His calm, gentle manner will put you at ease quickly as he attends to your foot care needs. Bring your family, Dr. Ron is pleased to service all ages. He can advise you on posture, shoes, inserts and back pain caused by improper shoes. His advice and services can provide you and your family with years of happy feet. As a licensed podiatrist in Austin, we are grateful for your patronage. Our goal is to provide foot and ankle information, prompt, professional, and extensive foot medical services. Major insurance plans are accepted. We are also pleased to provide podiatric service to patients who do not have insurance coverage. We offer appointment services to fit your schedule. Please feel free to contact our office with any questions and inquiries that you might have regarding foot health care and problems.